The real situation in middle east could get made comprehensive in our way that every possible political pattern is fiercely fighting for monopolizing violence but none succeeding so far in doing so. Due to this people are dying everywhere but a new left on electronic frontiers has waged a decisive world war, in which nobody is dying. That is why Russia somehow returned to cold war pattern being the state fully managed by former spies of cold war times. The situation in Syria is becoming another inevitable disadvantage to US Administration while Russia would be taking advantage of any outcome by keeping Iran and China actively involved. Although globally changing times have left a very insignificant space for cold war. The new left has categorically come out. It consists of mainly internet industry but all sorts of ideological left-outs are also travelling along. 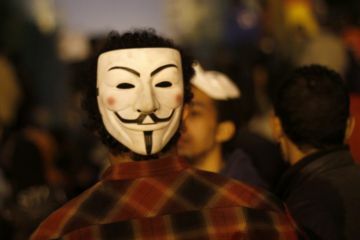 Hackers form the vanguard now and more often than not they are followed by entire internet industry. Resurfacing villain is always a government. Whom this disorganized force fights fully well, very non-violently demanding individual freedom along with social privacy across all time zones. Internet is expanding and so is this front. Patronage networks of old world business are continuously getting marginalized while new world business of internet age is always willing to cooperate with the new left. Ironically the business of internet age is forming the new right. 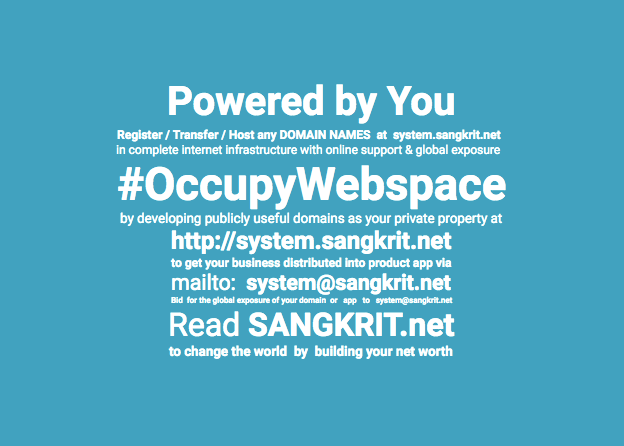 That is why SANGKRIT.net is a neutral webspace with ‘hutech’ as its buzzword that stands for quantum mechanics of cooperation. Human-kind cooperates because of human technology, which has been the foremost example of quantum mechanics in civilizations. Internet age is developing as highest possible form of civilization with its own right and left cooperating fully well against all old world orders.